Welcome to CME on ReachMD! The following activity, titled Updates in Hemophilia: Making Headway in the Multidisciplinary Setting is provided in partnership with Prova Education and supported by an educational grant from Sanofi Genzyme. Before beginning this activity, be sure to review the disclosure statements, as well as the learning objectives. Recent advances and emerging therapies for hemophilia are revolutionizing patient care. With the availability of safe factor concentrates, prophylactic administration to prevent bleeding has become the standard of care, which has simultaneously decreased incidents of joint disease while increasing life expectancy. But, despite these gains, a variety of challenges still exist, including treatment individualization and management of patients who develop factor inhibitors. So, how can we ensure that the best possible outcomes are achieved for these patients? This is CME on ReachMD, and I’m Dr. Matt Birnholz. Joining me by phone from his office is Dr. Michael Recht. Dr. Recht is Professor of Pediatrics and Medicine and Director of the Hemophilia Center at Oregon Health and Science University in Portland, Oregon. Today, we’ll focus on how to improve the provision of state-of-the-art integrated care to patients with hemophilia stemming from real-world and clinical trial data presented at the 60th American Society of Hematology Annual Meeting. Dr. Recht, welcome to the program. Thank you, Dr. Birnholz. I very much look forward to discussing the exciting developments in our field. It’s really a wonderful time to be a treater for people with hemophilia. Between the advances of the extended half-life factor replacement products to the new non-factor molecules, which are starting to demonstrate safety and effectiveness in preventing bleeding, to the really exciting results in liver-directed gene therapy, we’re on the threshold of transforming the way our patients with hemophilia are treated. Those are great introductory thoughts, Dr. Recht. Thank you. So, why don’t we then jump right in on some of the highlights from the real-world data analyses that were presented at ASH this year? And one topic of strong interest has been this introduction of extended half-life or EHL products in response to limitations of factor replacement. So, to ease that burden of standard prophylactic therapy for patients, can you just put these EHL products and prophylactic therapy into clinical context for us based on what was presented at ASH? Sure. That’s really an interesting question. There were a couple of important abstracts that were presented at the most recent ASH meeting. The one that I found most interesting was submitted by the people behind the Hemophilia Utilization Group Studies, which is also known as HUGS. So, HUGS Va was a 2-year observational study of people with hemophilia A conducted between 2005 and 2007. Participants in HUGS Va were offered the option of being enrolled in a long-term follow-up study called HUGS LTS in 2014. The report at this year’s ASH compared participant characteristics between the baseline HUGS Va and the follow-up HUGS LTS. The HUGS team collected data on sociodemographic and clinical characteristics. A total of 74 people participated in both studies, and what they found to me was quite surprising. Compared to baseline, those adolescent and adult participants in HUGS LTS actually had an increased rate of prophylactic administration of factor to prevent bleeding. Self-reported bleeding rates remained relatively stable between the years of HUGS Va and LTS. To me, these results reinforce the importance of prophylaxis and adherence to factor treatment for maintaining good bleeding control in people with hemophilia A.
I want to focus on new therapeutic agents such as modified factor VIII and IX molecules that have been introduced or actively investigated over the last few years. What can you tell us about these newer prophylactic strategies that were presented at ASH? So, Bayer recently had their B-domain–deleted recombinant factor VIII that is site-specifically pegylated FDA approved. An update on the safety and efficacy of this molecule was presented at ASH. A total of 121 participants over the age of 12 who had previously been exposed to at least 50 exposure days to other factor VIII concentrates prior to enrollment had spent a median of 3.9 years on various pegylated factor VIII molecule. The bleeding rate was lowest for those participants on the every-7-day regimen with a median of less than 1 bleed every year. Bioverativ presented the final safety and efficacy data on their recombinant factor VIII that’s Fusion to FC. A total of 211 participants, were followed for a median of 6 years. No inhibitor development was observed in the study population, and spontaneous bleeding rates were less than 1 bleed per year, also. In addition, Novo Nordisk reported outcome safety and efficacy of their glycoPEGylated recombinant factor VIII molecule. They demonstrate an annualized bleeding rate of 1.18 for those receiving 50 units per kilo every 4 days on the pivotal trial, 0 for those receiving the same dose and same duration on the extension trial, and an annualized bleeding rate of 0 for those receiving 75 units per kilo every 7 days. Again, in this study there were no inhibitors reported. Moving over to people who have hemophilia B or factor IX deficiency, Bioverativ also presented their final results of their open-label study of recombinant factor IX fusion protein. They had 120 participants, both kids and adults, who were enrolled in the extension trial. The most commonly prescribed regimen was weekly prophylaxis. There were no participants who developed inhibitors, and the annualized bleeding rate remained low throughout the study with a median below 2 bleeds per year. Extended half-life products have demonstrated short-term safety and are efficacious even when dosing is extended. Why don’t we then stay on this theme of novel treatment investigations and look at new approaches toward replacement factors which may help lessen the need for factor concentrates? Can you review some of the data that you found most interesting in this arena? Let’s start by reviewing the updated data on emicizumab. Emicizumab is a bispecific humanized monoclonal antibody that’s delivered subcutaneously and bridges factor IXa to factor X to restore the function of missing factor VIIIa in people with hemophilia A, with or without inhibitors. HAVEN 2, the pivotal study of emicizumab in pediatric patients with inhibitors, previously demonstrated that once-weekly dosing provided effective bleed control and was well tolerated. The ASH data presented the results from every-2-week dosing and every-4-week dosing in this population. A total of 88 participants were enrolled in HAVEN 2. In the weekly cohort, the annualized bleeding rate was 0.3, in the every-2-week dosing cohort, the annualized bleeding rate was 0.2, and in the every-4-week dosing cohort, the annual bleeding rate was as high as 2.2. Compared to the annualized bleeding rate prior to starting emicizumab, bleeding decreased by over 99%. There was no thromboembolic or thrombotic microangiopathy events in the pediatric trial. An interesting natural history experiment was also reported at ASH. Fitusiran is a once-monthly, subcutaneously administered, investigational RNA interference therapeutic that targets antithrombin. The goal of this molecule is improving thrombin generation and promoting hemostasis in patients with hemophilia A, hemophilia B, with or without inhibitors. In September 2017, fitusiran dosing in the phase II extension study was temporarily suspended to investigate a case of fatal cerebral venous sinus thrombosis. Following the investigation, fitusiran dosing resumed in December 2017. During the temporary suspension, bleeding events and frequency of factor replacement or bypassing agent used, was assessed. During the dosing interruption, the annualized bleeding rate increased from 1.43 events per year to over 6 events each year. This was accompanied by a steady increase in antithrombin activity. So this suggests that stopping this medicine will allow the antithrombin levels to rise naturally and that will inhibit the ability of the body to form blood clots. We can figure out if this is actually what happens because a phase III study of fitusiran is ongoing. For those just joining us, this is CME on ReachMD, and I’m Dr. Matt Birnholz. I have the pleasure of speaking with Dr. Michael Recht about the latest data presented at ASH 2018, which has the potential to change the way we care for patients with hemophilia. I want to turn to another exciting therapeutic area in development, which is gene therapy. So, where do things stand on that front for hemophilia patients? Dr. Birnholz, the gene therapy results are most interesting to me. This past spring at the World Federation of Hemophilia Meeting at Glasgow, BioMarin presented their results on valoctocogene roxaparvovec, which is known as BMN 270. At the time of their report, 13 subjects had received a single intravenous dose of their AAV5 vector containing the B-domain-deleted factor VIII gene. Gene transfer with BMN 270 in participants with severe hemophilia A resulted in sustained clinically relevant factor VIII activity plateauing by about week 20 post infusion with median levels all in the normal range. At 65 weeks post infusion, median factor activity was 98 units per deciliter with a range between 60 and 145 units per deciliter in the high-dose cohort. Four weeks after the infusion of the vector, the median annualized bleeding rate had decreased to zero, and the annualized factor VIII infusion rate decreased from 150 infusions a year to zero. There was a mild grade 1 increase in liver enzymes that were reported in 6 of the 7 participants receiving the high-dose vector. These participants were required to use steroids. Spark Therapeutics also presented their phase I/II trial of fidanacogene elaparvovec, their AAV-based, liver-directed therapy, which demonstrated a reduced annualized bleeding rate by 90% and an annualized infusion rate decrease by 99%. The range of steady state factor IX activity level beginning at 12 weeks through 52 weeks of follow-up for the first 10 patients infused was 14.3% to 76.8%. The next 3 patients were infused with a new vector that used an enhanced process and reached 12 or more weeks of follow-up. For these patients, the range of steady state factor IX activity was 38% to 54%. The annualized bleeding rate was 0.2 bleeds per patient after infusion compared to 9 bleeds per person before infusion of vector. Two participants experienced elevated transaminase which were asymptomatic but required a tapering course of oral corticosteroids. For those patients with hemophilia B, uniQure reported the results of their AAV5 vector with a codon-optimized wildtype factor IX gene under the control of a liver-specific promoter. Nine participants with severe factor IX deficiency with a factor IX level of less than 1 and 1 participant with moderate to severe factor IX deficiency with a factor IX activity of 1.5% were enrolled and received their product AMT-060. Mean factor IX activity over 1 year of follow-up was 4.9% in the low-dose cohort and 7.4% in the higher-dose cohort. Stable exogenous factor IX concentrations of greater than 4% was observed out to 2 ½ years post treatment with the AMT-060. In addition, continued reduction in annualized bleeding rate to zero with a higher dose of AMT-060 and an up to 93% reduction in exogenous factor IX administration was reported. I’m looking forward to hearing more about that down the road. But I want to circle back to a specially challenging population of patients we talked about thus far, is participants with hemophilia A with inhibitors. I’d like to get a better sense of the advances made toward managing bleeds and joint health for these patients in particular. Were there any updates there? It’s still my opinion that immune tolerance induction, as known as ITI, is still the standard of care for eradication of inhibitors in patients with severe hemophilia A. ITI is not always effective and can require a lengthy and burdensome treatment regimen. We also know that those who had previously failed ITI are more likely to have ITI fail them subsequently. At Sick Kids Hospital in Toronto, investigators previously reported the successful use of recombinant factor VIII fused to human FC for ITI. They demonstrated time to tolerization with recombinant factor VIII fused to AFC despite a high-risk profile for those in the study. At ASH, the same group reported expanded data from a total of 25 participants. A rapid time to tolerization was achieved in high-risk, first-time ITI subjects in this real-world setting. Findings from this study are being tested in 2 prospective trials using recombinant factor VIII FC for ITI in subjects with hemophilia A with inhibitors in the first-time and as well as rescue. Now, we’ve already discussed the results of the HAVEN 2 emicizumab trial. Based on these results, as well as from the results of HAVEN 1, which was the study of adults with hemophilia A with inhibitors, and HAVEN 3, which is the study of patients less than 12 years old without inhibitors, the Medical and Scientific Advisory Council and the National Hemophilia Foundation published recommendations on the use and management of emicizumab for hemophilia A patients with and without inhibitors. I would recommend any of our listeners to go to the National Hemophilia Foundation website to read these recommendations thoroughly. Well, Dr. Recht, obviously this has been a really comprehensive, great overview of the latest and greatest updates coming from your colleagues at ASH Annual Meeting, are any other key findings, key takeaways, parting comments that you want to leave with our audience before we go. We have progressed with the advent of the subcutaneously delivered non-factor molecules that are seemingly effective and at least in the short-term seem to be safe. In the new gene therapy products, we are entering a wonderful time in the treatment of those affected by hemophilia, but I would urge our listeners to remember that we are still very early in the course of using these new technologies, and we have to remain vigilant in looking for unexpected adverse events. Careful follow-up of any patient considering these new factor molecules, the non-factor molecules and gene therapy is essential. Working with organizations like the American Thrombosis and Hemostasis Network to the United States Hemophilia Treatment Center Network is the best way to make sure that we catch a safety signal early on. I’m really looking forward to further updates from you and your colleagues along the way. Dr. Recht, it was great having you on the program today. Thanks so much. Thank you very much, Dr. Birnholz, for allowing me to participate in this activity. Hopefully I’ve communicated my excitement about our field, and hopefully I can convince just a couple of young investigators to jump in and work with us to really move this field forward. The preceding activity was provided in partnership with Prova Education. To receive your free CME credit, be sure to complete the posttest and evaluation by visiting ReachMD.com/Prova. For the 20,000 patients living with hemophilia, there’s hope on the not-so-distant horizon thanks to these emerging treatment options. 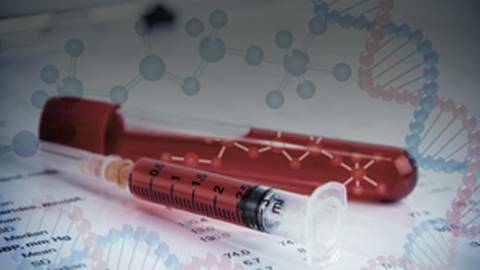 Have you considered using replacement factors or gene therapy in your practice to manage hemophilia? This activity explores the most recent clinical trial data and real-world experience of these and other emerging treatment regimens for hemophilia. Dr. Recht receives consulting fees from Bioverative, CSL Behring, Genentech, Kedrion, NovoNordisk, Pfizer, Shire, uniQure and has contracted research with Bioverative, Genentech, NovoNordisk, Shire, Spark, uniQure and is on the Board of Directors of ATHN. Christa Dardaganian has nothing to disclose. Kim Farina, PhD has disclosed she has ownership interest in Immunomedics Stock. The Postgraduate Institute for Medicine planners and managers have nothing to disclose. This activity is designed to meet the educational needs of hematologists and registered nurses, as well as the other members of the hemophilia treatment team, including pharmacists, physical therapists, and social workers, and other members of the interprofessional team who are involved in the management of patients with hemophilia. This activity has been planned and implemented in accordance with the accreditation requirements and policies of the Accreditation Council for Continuing Medical Education through the joint providership of The Omnia-Prova Education Collaborative (TOPEC). TOPEC is accredited by the ACCME to provide continuing medical education for physicians. In support of improving patient care, this activity has been planned and implemented by the Postgraduate Institute for Medicine and The Omnia-Prova Education Collaborative (TOPEC). Postgraduate Institute for Medicine is jointly accredited by the Accreditation Council for Continuing Medical Education (ACCME), the Accreditation Council for Pharmacy Education (ACPE), and the American Nurses Credentialing Center (ANCC), to provide continuing education for the healthcare team. The maximum number of hours awarded for this Continuing Nursing Education activity is 0.2 contact hours. Designated for 0.2 contact hours of pharmacotherapy credit for Advanced Practice Registered Nurses.